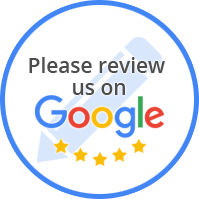 Customer Reviews for River City Radiator Inc.
Water was shooting out of my radiator as I managed to pull into my office parking lot at Treadway in LR and it's FRIDAY!. I had made the drive in from Hot Springs, but was now stuck and in need of a repair shop... So after calling a half dozen repair shops, noone either had time or worked on VW Bugs. So Ted at River City Radiator became my next call, Ted's shop specializes in heavy duty vehicles and was also booked full but understood my dilemma, he gave me some recommondations and told me that if I still couldn't find anyone to call him back. So again I called, probably another dozen repair shops, and still the same answer 'they'd be happy to help me on Monday'. So I called Ted back, he was on his way to taking his wife in for surgery, but assured me that if I had my Bug towed to his shop near the airport, as soon as he could get there he would stay for as long as he needed to in order to get me on my way. So now it is 11:30am and I have the Bug towed to his shop, by the time it arrived his staff already the potential parts on order - how teriffic! Ted kept me informed throughout the day and to my surprise it was ready at 5:30pm! When I arrived at his shop, I was happy to hear that it was only at coupling that need replacing. He could have charged me (a woman) an arm & a leg (I would not have known the difference), but he didn't, HE WAS HONEST!!! And when I tried to pay him extra for his INCREDIBLE SERVICE, he wouldn't take it. What INTEGRITY!!! It's been three weeks now and I have not had any more trouble. Ted, you have restored a piece of my 'faith in humanity' that has been missing, because of your level of COMMITTMENT TO CUSTOMER SERVICE.